And yet, the Trump White House has refused to apologize for the remark, continues to employ Sadler and, in the most appalling twist, attempted to make the entire episode a parable of leaking as opposed to one of classlessness. 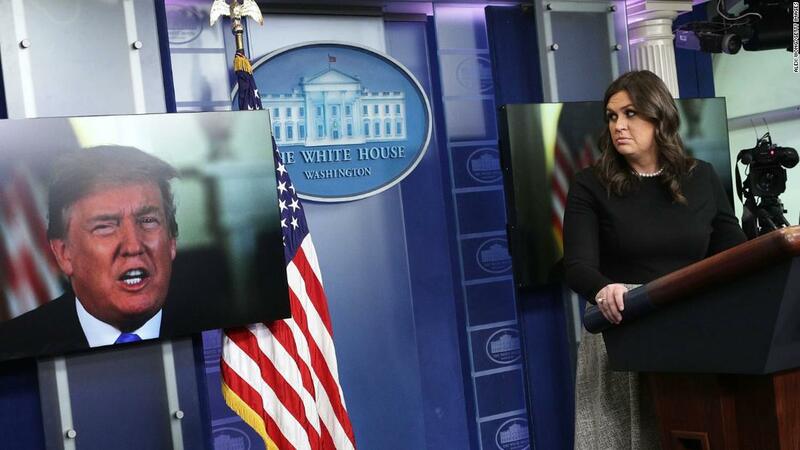 On Monday, deputy White House press secretary Raj Shah continued to refuse to answer questions about Sadler’s comments or address why she has yet to publicly apologize for them instead keeping the focus on leaks. “When you work in any work environment…if you aren’t able in internal meetings to speak your mind, or convey thoughts, or say anything that you feel without feeling like your colleagues will betray you, that creates a very difficult work environment,” said Shah. Let’s start here: A White House staffer made a “joke” about the death of a war hero, prisoner of war and a man who has spent the better part of the last four decades of his life in public service. THAT is the story. The end. Not apologizing is bad enough. Saying “sorry” — and doing so publicly — is the easiest thing in the world to do. Especially because Sadler reportedly told Meghan McCain, the senator’s daughter, that she was sorry for what she said and that she would apologize publicly. Why wouldn’t the White House — starting with President Donald Trump — make very clear to Sadler that she shouldn’t come back to work unless and until she publicly apologizes for her “joke”? Instead, the White House has gone in a totally different direction — by trying to make this story about one of Trump’s hobbyhorses: The leakiness of the White House. “During the dressing down, Sanders focused more on how the remark was leaked apparently in an attempt to target Sadler with a damaging story, one of the sources told CNN. Yes, this is one of the leakiest White Houses ever. But, that’s not the point here. It’s a side issue, a distraction, a red herring. The point, in case you forgot, is that an employee of the White House made an unconscionably heartless and cruel comment about someone who has spent a lifetime serving his country. Rather than scolding the leaker, the White House should congratulate that person for bringing Sadler’s offensive comment to the attention of anyone not in the particular meeting where she made it. By not only not forcing Sadler to apologize or quit but also seeking to make this about leaks, the White House is aiding and abetting a culture within its walls that ensures this sort of thing will happen again. Think about this: Sadler felt comfortable enough in a meeting to voice this “joke” about McCain. That tells you a lot about the sort of culture that Trump has created in his White House. And none of it is good. That the White House won’t even apologize for what she said — or, better, make her apologize for what she said — is hugely telling. And hugely troubling. This sort of moral indifference — who is to say if Sadler can or should make a joke like that about McCain? — comes from the top. Trump himself has demonstrated time and time again — as a candidate and now as President — that he rejects the idea of the President as a moral leader of the country (and the world). McCain is an enemy — for his deep and outspoken skepticism about Trump’s candidacy and presidency. Therefore, Sadler feels as though she can say the darkest thing possible without penalty. Because McCain is the bad guy in this play — and Trump is the good guy. The White House is only doubling down on that mentality in its response to Sadler’s comments. Why apologize to someone who isn’t on your side? Why not turn this into a story about disloyal staffers who are undermining the President? What that view misses, of course, is something known as human decency. Which we could use some more of in Washington these days.